Out of all the Kickstarter products that were recently introduced into the consumer market, the Solarade has got to be our favorite new gadget that sadly didn't receive the recognition it deserved. Designed by a small independent design studio and manufactured in Korea using U.S-made components, the Solarade bills itself as the world's smallest solar charger that is capable of charging virtually any USB-powered device out at a remote location as fast as you can charge at home. It's the slimmest, most lightweight and minimally designed solar panel charger we've seen so far that's as functional as that white USB power adapter you use to charge your iPhone with. And yes, if you can't live without your technology outdoors you can use the Solarade to individually charge your tablet, your phone, camera, flashlight and pretty much anything else that can be charged over a USB connection. That's because the Solarade claims that it's the most compact portable solar panel charger on the market that's capable of delivering true 1A (5V) output current through its USB charging port using a powerfully efficient 5Watt solar panel. 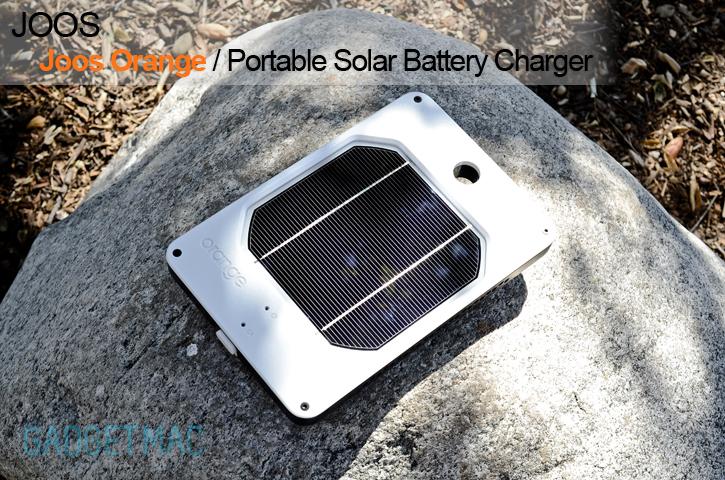 Meaning it's as quick of a natural energy source charger as a typical USB wall charger, and that is without a doubt an impressive feature to have when it comes to portable solar energy. More solar charging goodness awaits you in the full review down below. When id America took to Kickstarter with its unusually unique product idea for a portable backup battery charger, it successfully raised nearly $40,000 from keen consumer backers. Only two months have gone by and id America has now started shipping its newly Kickstarted product – the suitably named L.E.D Portable Charger. It's a dockable, portable battery charging dimmable LED light bar with a svelte design and two really useful applications. Charge your gadgets on-the-go and light up darkness with powerfully bright LEDs all conveniently built right into a single, portable backup solution which id America is calling the most versatile portable charging device on the market. But is it really the best backup battery you can take with you? Check out the full review after the break to find out! For years Just Mobile has been making things out of aluminum, nice and helpful things too. Its aluminum-made rechargeable backup battery packs were and continue to be one of the nicest looking on the market. To grow and improve its line of electricity harnessing banks, Just Mobile's most recent release includes the Gum++ (or Gum Plus Plus), a 6000mAh external backup battery follow-up to the aluminum-made Gum Plus that boasts an ultra-portable form factor that features a high-powered USB output port capable of filling up smartphones, tablets and just about any inanimate object that's got a USB port on it with extended hours of usage. Redesigned with a hard-wearing ABS plastic shell, the Gum++ is supposedly more durable than its aluminum predecessor and can charge your smartphone up to three times over. As always, we conducted our own testing using multiple devices to find out if any of these claims really stick. Our full review awaits! You can never get enough juice in your favorite devices that are on and ready to serve your needs 24/7. Keeping them happy with a full charge can be difficult, especially when you’re constantly on the go. iBattz has come up with one of the thinnest battery backup chargers we've seen yet. Packed in a sleek solution that will keep you at your job, traveling from place to place without having to worry about your battery life, the Mojo Removable Power Card Wallet looks to be the perfect travel companion for your iPhone or Android device. Check out the full review after the cut! We love our gadgets and can't live without them, alas, gadgets are power hungry little buggers that are in constant need of feeding. Taking them into the wilderness without the means of plugging into the grid can be difficult and even dangerous for the most part. If you need to rely on a portable GPS, phone and the like, then the Joos Orange by Joos might be that life saving gadget that can look after itself. The Joos Orange is a portable solar power charger, or in other words, a life saver for the tech savvy. It's a power station that can create virtually infinite free power as long as the sun shines up high. We've put it thru the test, and found some interesting results. The full review is right below! 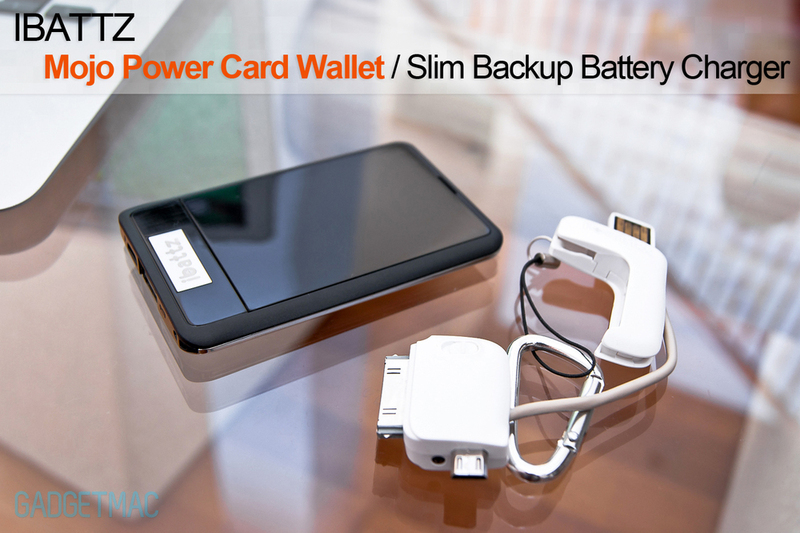 Finding the right backup battery pack to keep your gadgets running can be a tiring search. With so many options to choose from, choosing the right pack all comes down to price and performance. It doesn't matter how good it looks because all you should care about is what's on the inside. Formally known as SGP, Spigen SGP's first battery pack offering is the Kuel F60Q, generously equipped with 6,000mAh of battery goodness. We love Spigen SGP's wide array of cases, but can the Kuel F60Q prove itself to be a valuable accessory you'll want to have in your gear bag?